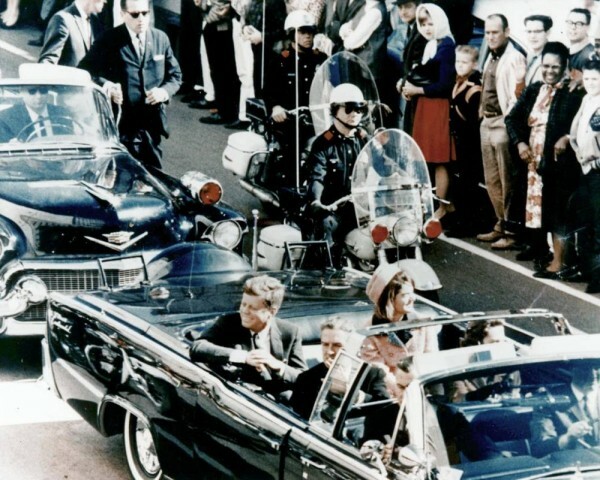 The 50th Anniversary of the Kennedy Assassination - Get your random questions here! Today is the 50th anniversary of the assassination of President John F. Kennedy. Is that something that you care about? Were you alive when President Kennedy was shot? Based on whatever knowledge you have about the assassination of President Kennedy, do you believe that Lee Harvey Oswald acted alone as the assassin? Music:Keb Mo-"The Times They Are A Changing"
Yes, on that theory I would consider him to be a part of the conspiracy, even if he was an unwitting part of it, or was being manipulated in some fashion. 50 years later I heard some compelling arguments for a single assassin using 21st century forensic methods. I also heard some good reasoning against conspiracy theories using testimony and accounts unavailable at the time. Yes, the Warren Commission left some blanks in the evidence but not every thing was available to them. The reason I still think there was a conspiracy was because of the Zapruder film. Every time I watch that film, I am convinced that the second shot came from somewhere in front of the limousine, not from up in the School Book Depository. This convinces me that there was a second shooter. None of the books or documentaries that I've seen that suggest Oswald acted alone has an answer for this. Here is a video of the film. The second shot comes at the 54 second mark. The president's head appears to me to be impacted from the front. This is also consistent with Mrs. Kennedy's reaction. Thanks for these links. I know that there are a lot of respected authors who have discounted the Zapruder film, but I've never understood why. The documentaries which I watched that supported the "Oswald acted alone" theory never even addressed the Zapruder film, so I appreciate these links. I was three years old when it happened. In the 1970s, we talked about it a lot, sometimes. I never did know what to believe. I haven't thought about the theories for years. That video was hard to watch. I should have put a disclaimer before posting that film. I'm sorry for not doing so.